Christina Jagusiak has spent the past five years waiting for her hair to get long enough to cut off. On Saturday, she plans to shave her head completely. 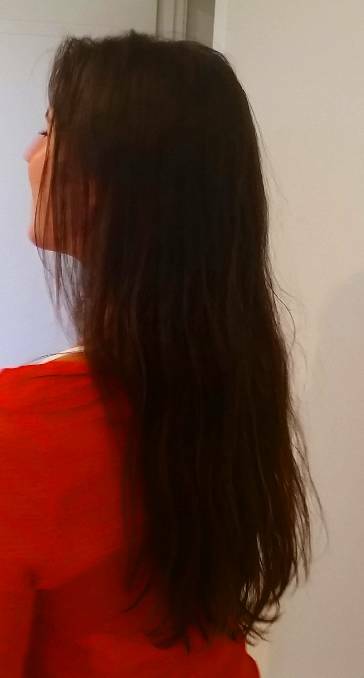 The local yoga teacher’s 35 centimetre undyed locks will go to charity ‘Hair for Heart’, which makes donated hair into wigs for children who have lost their hair due to alopecia or cancer. It’s not the first time she’s done this, so Ms Jagusiak knows exactly what to expect – she will feel freed. Since shaving her head approximately five years ago for the same cause, she has been waiting for her hair to grow long enough to do it again. “There’s so much attachment to hair… it’s quite liberating when you do shave your hair, because you realise there’s more to you than your hair,” she said. Being lucky enough to have hair, she’s glad to be able to help less fortunate children. This time round, it’s especially meaningful for her. While spending several months in hospital with her premature daughter, she saw first hand other children in the pediatric ward going through things like hair loss, and just how traumatic it is for them. Hair is a defining feature for children and teenagers, Ms Jagusiak says, and she’s glad have healthy hair to help those without. 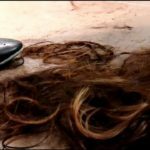 “So many people in the world don’t have a choice, their hair falls out, or they're made to have their hair removed,” Ms Jagusiak said.